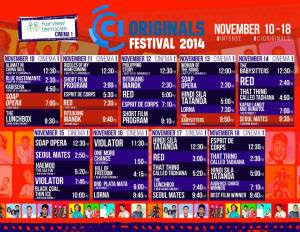 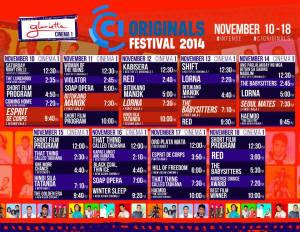 Cinema One Originals Festival 2014 offers a very interesting lineup of 10 in-competition films, world premieres, exhibition films, screenings of digitally restored classic Filipino movies, and special screenings of Asian Cinema titles. 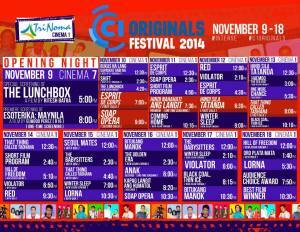 Trinoma Mall (Cinema 1) in Quezon City. 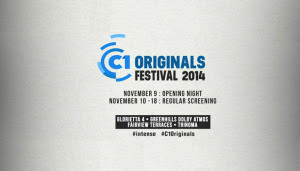 The opening night is on November 9. 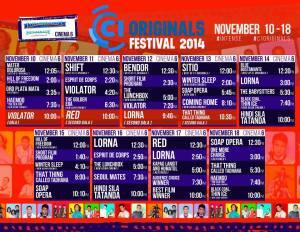 Regular screenings are from November 10 to 18.